Ageratum Yellow Lonas Inodora is a shrub that is native to the Southwestern Mediterranean region, but the plant is very adaptable for growing everywhere else. Also called Golden Ageratum this unique variety can be easily grown from Ageratum seeds. 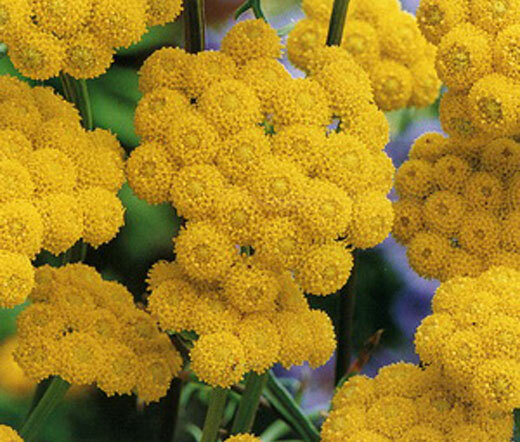 Yellow Ageratum produces attractive, small, bright-yellow button-like flowers with wiry stems and blooms all summer long attracting butterflies to the garden. This Ageratum is good for cutting gardens, mass planting and can be grown as a border or bedding plant. Lonas Inodora grows best in full sun and moist, but well drained soil. Ageratum is a superb, long lasting cut flower that is suitable for both fresh and dried floral arrangements.